The flag of Luxembourg (Luxembourgish: Lëtzebuerger Fändel, German: Flagge Luxemburgs, French: Drapeau du Luxembourg) consists of three horizontal stripes, red, white and blue, and can be in 1:2 or 3:5 ratio. It was first used between 1845 and 1848 and officially adopted on June 23, 1972. Luxembourg had no flag until 1830, when patriots were urged to display the national colors. The flag was defined as a horizontal tricolor of red, white, and blue in 1848, but it was not officially adopted until 1972. The tricolor flag is almost identical to that of the Netherlands, except that it is longer and its blue stripe is a lighter shade. The red, white, and blue coloring was derived from the coat of arms of the county of the Ardennes, renamed county (1339 duchy, 1815 grand-duchy) of Luxembourg after the creation of its identical named capital city in 963 A.D. by then count Siegfried. The colours of the flag of Luxembourg were first adopted around 1830 during the Belgian Revolution. They were probably derived from the counts, dukes and later grand-dukes of Luxembourg's coat of arms which in turn was derived from the combination of the dukes of Limbourg's Lion and the supposed striped banner of the early counts of Luxembourg. The three-colored horizontal design was fixed on June 12, 1845. It took until June 23, 1972 before a law was passed regulating the flag of Luxembourg. 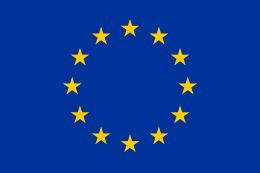 The same law also prescribed ensign and roundel for aircraft and ships registered in Luxembourg. One important clarification brought by this law was that the color blue was defined as being a very bright blue, in contrast to the flag of the Netherlands (exactly the same design, but the Dutch flag uses dark blue and a less oblong shape). The red lion is the official ensign for ships registered in Luxembourg. It is used for river and sea shipping, as well as for aviation. This flag is based on the Coat of arms of Luxembourg and is used as the ensign to avoid the possibility of Luxembourg's ensign being confused for that of the Netherlands. Ten white and blue stripes serve as the field for a red lion with a yellow tongue, claws and crown. The proper ratio for this ensign is 5:7. The roundel of Luxembourg is seen on the AWACS aircraft used by NATO. The resemblance of the Luxembourgish flag with the Dutch flag has given rise to a national debate to change it. On October 5, 2006, MP Michel Wolter introduced a legislative proposition to replace the current red-white-blue national flag with the red lion ensign. He argued that the current flag was commonly confused with that of the Netherlands and that the red lion on the other hand was more popular, more aesthetic and of greater historic value. Wolter also claimed he had personally discussed the matter with some three hundred people, most of whom expressed their support for his initiative. On the other hand, many national politicians (including leading members of Wolter's own CSV) and VIPs have expressed astonishment in the local media concerning both the timing and necessity for such a change. 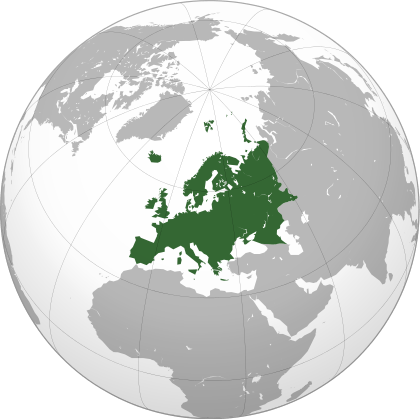 The only political party to express support for Wolter's initiative was the nationalist and populist ADR. On October 24, 2006, a local initiative called Initiativ Roude Léiw ("Red Lion Initiative") held a press conference explaining their intention to support Wolter's project on a non-partisan basis. Their first actions would include distribution of red lion bumper stickers, a petition and a poll. During sporting events like the Tour de France supporters for Luxembourg participants now overwhelmingly use the Ensign instead of the Flag. In 2015, a citizen submitted a formal petition to the Chamber of Deputies to replace the current national flag with the Roude Léiw. 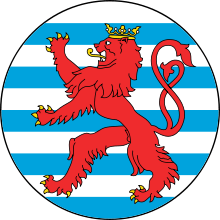 For historic reasons, the adjacent Belgian province of Luxembourg uses a flag that also features a lion superimposed on horizontal stripes. Elsewhere, similar designs can also be found, for instance in the Belgian city of Bruges and the German state of Hesse. On July 6, 2007, the Government stated that the Roude Léiw would be accepted as a Civil flag only within the territory of the Grand-Duchy along with the National flag keeping the same proportions, i.e. 1:2 or 3:5 as the National flag to avoid confusion with the Civil ensign. Wikimedia Commons has media related to Flags of Luxembourg.